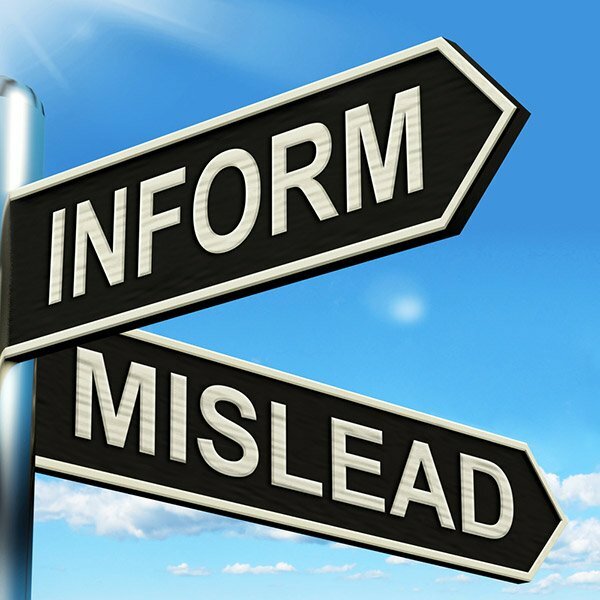 Misinformation (falsity) about an event that is accepted as truth makes it more difficult to recall the original details of the event as they actually happened. The falsity is the accepted visible reality, while the underlying details are covered over. sourceThis is the misinformation effect, where recall of the memories of an event become less accurate because of post-event information, such as misinformation, which goes onto top of the less salient or available data (availability heuristic). 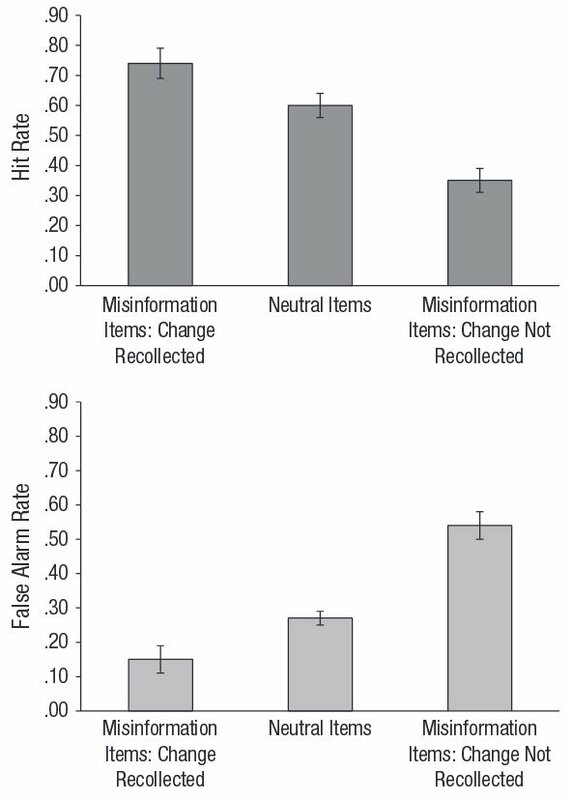 New research published in Psychological Science shows that an event is remembered more (in better detail) when misinformation about it is corrected, compared to never having had false information in the first place. sourceWhen information about an event is first encountered, if we tacitly accept it then we don’t pay much attention to the details. However, if presented with contrary information, such as accurate information — truth — to correct that falsity, then we are forced to recall the details and reevaluate our perception and therefore understanding of what occurred. Recognizing falsity, disinformation or misinformation as being inconsistent, disharmonious, disunited and misaligned with reality, is done through comparison and contrast between the accepted falsity and the truth that challenges it. Remembering this change enhances retention of that information we once didn’t regard correctly or pay much attention to at all. If we notice misinformation as not being accurate, we wont form a false memory. Adam Putnam of Carleton College, and his colleagues, had 72 undergraduate participants watch six slideshows with 50 pictures, each of a particular event. Participants then took part in a five minute distraction task followed by a reading of the descriptions of the previous slides. The descriptions were divided into three categories: 1) a specifically accurate description , 2) a generally accurate description, 3) a false description. After the distraction task, multiple choice questions were given , asking about the original slideshow. What kind of bills were in the car? If participants found no contradiction or inconsistency with the original, then they usually fell into the misinformation effect and picked the wrong option. But if they noticed a change in the questions, the misinformation deficit disappears. sourceThe detection of a change in old/current vs. new/novel information creates a salience we notice and pay attention to. This enhances the details through recalling them, and we remember them better later. However, less memorable details tend to lack the vivid contrast when compared to corrective information to recognize the misinformation as such. 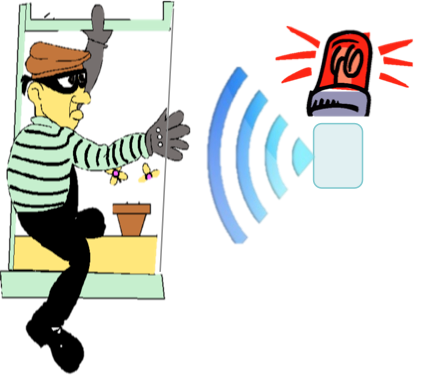 Think of the detection as an alarm going off. This is a salient presence in your environment, something is popping out and standing our for you to notice, and it captures your attention. If you first have correct detail but don’t pay much attention to it, misinformation can influence you to accept it as the correct detail that is recently available information to bias you towards it. This impairs memory of the correct detail. But if you detect that misinformation in an event or narrative, that error correction seems to weigh as importance an makes that event pop out more for later memory recall. You pay more attention to it, so it has better recall. If you don’t pay much attention, then the recall is less vivid. Noticing an error in something requires paying attention to it, and that increases its impact on later recall. 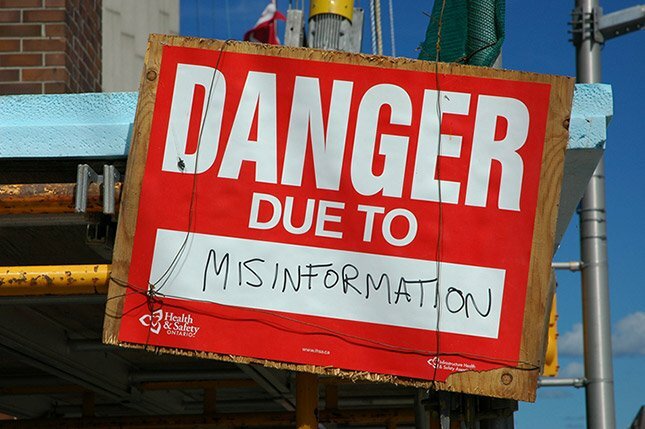 The less you are aware of information you have received, the more vulnerable it is to the misinformation effect. This relates to much of my work where I talk about being manipulated, fooled, conned, tricked, bamboozled, hoodwinked, deceived, lied to, etc. If we’re not reflecting on our previously conditioned information from our state-sponsored outcome-based indoctrination centers, media, and other falsities presented to us as “truth”, then we are continuing to tacitly accept the low detail information, and are not reflecting upon it, contemplating, thinking about it. This is the detective within us that we need to use. Detecting inconsistencies, contradictions in how we think or view the external world. 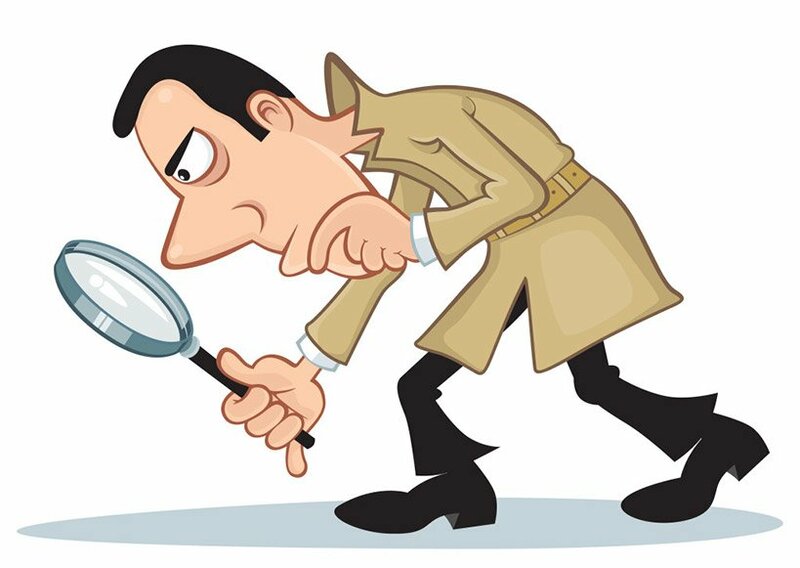 Become aware of the information by looking closer at under a magnifying glass and recognize the errors in our conditioning. 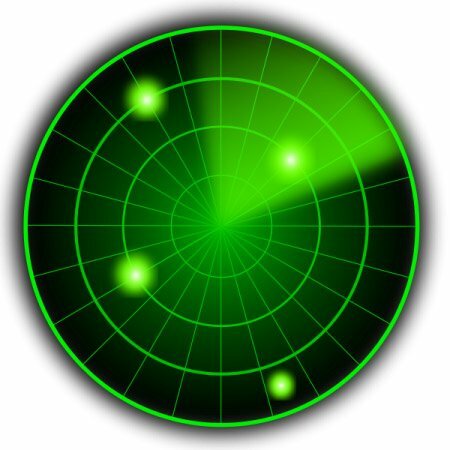 Then the error, inaccuracy, wrong, misinformation, unreality, etc., is on our radar, and we can target it for removal in favor of the actual representation of reality that ‘is’. source“Classic interference theory in memory suggests that change is almost always bad for memory, but our study is one really clear example of how change can help memory in the right circumstances,” Putnam explains. Reality acts as a catalyst of contradiction to false information memories, stirring and livening them from a dead state. Then we are impacted by such a corrected, and this change boosts memory instead of being bad for it. 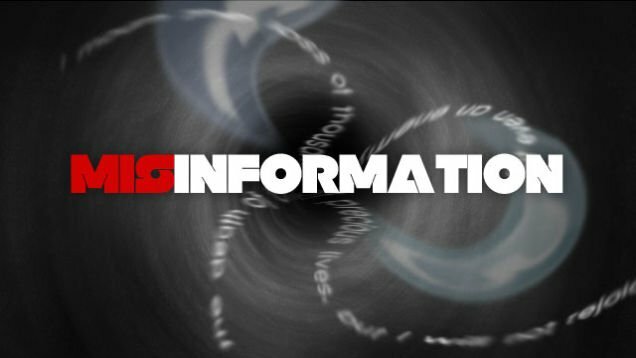 Interference, friction, tension, contradiction, controversy, and conflict is required to correct false or inaccurate information stored as true or accurate information in memory. This friction is also required to correct falsity outside of ourselves in the external reality. Previous false memory research on the misinformation effect, as well as the classical interference theory, indicated that false memories can be easily implanted about many types of events. As if we’re remembering things that never happened, all the time, but this new research shows differently. This can/does occur, but misinformation doesn’t automatically lead to the misinformation effect. sourceWe can fall prey to the misinformation effect, and accept unreality as reality, when our recall of an event or information is too vague, few details, where the new salient attention grabbing available information we just received, is going to lay-over that cloudy memory, and supply more vivid detail that supports a false conclusion. Whatever is most present, most recent, has the most visibility, and focuses our attention on it at the expense of old information. We must be recollecting and detecting the details of old and new information to compare and discern more accurately. I’ve mentioned before the power of the negative in our lives, and the importance to notice it. The negative in life needs to be acknowledged and dealt with, not ignored. Denial doesn’t help anyone. The persistence of a negative will impede the positive (study logic truth tables, see above link). sourceThis is not to advocate for dismissing people as “negative” because they dare to expose the negative in reality t your delicate sensibilities. Someone simply bringing up issues in life, from the darkness to the light, is not a negative person. If we fail to recognize, recollect and correct the misinformation in our understanding of reality, we are basis out behavior on that false view and accordingly living falsely in some respect. Steeping onto a false path leads one towards more falsity. 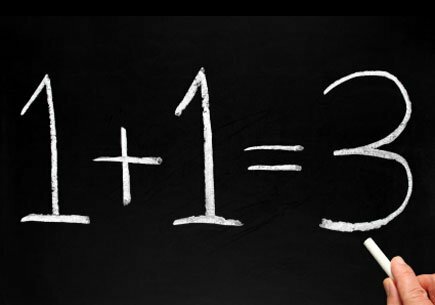 Accepted 1+1=3, and building further mathematical models from that false step, will produce further false models of reality. sourceAlong the way, it’s possible to correct the path and away we walk, by recognizing the falsity/wrong, admitting it, then we can imagine a better way and change towards that. If we can’t imagine another way, then we lock ourselves into the current condition and stay trapped through a lacking of envisioning possibilities for change. We then engage in learned helplessness were we tacitly accept what is happening and let it continue, feeling powerless to do anything about it. And rightly so. If we don’t use the power of consciousness to recognize and admit to errors, and then imagine a better way of doing things, we won’t go anywhere. We’ll stay where we are or be led by the herd or “leaders” towards a path and way of life that we ignorantly fall in line with. Being on the right path and way in life requires recurring thinking, analysis, contemplation, self-reflection, introspection, diagnosis, and evaluation of the information we receive and the the information we already have. We have to actively choose to pursue being informed, to seek to know and understand the demonstrable truth of reality and existence. Or else the default is to tacitly accept being mislead through being misinformed. sourceDeveloping critical thinking and evaluation skills is possibly more important now than ever before, with the advent of fakenews being propagated as a problem for alternative media, but not the “holy sanctity” of the mainstream church.